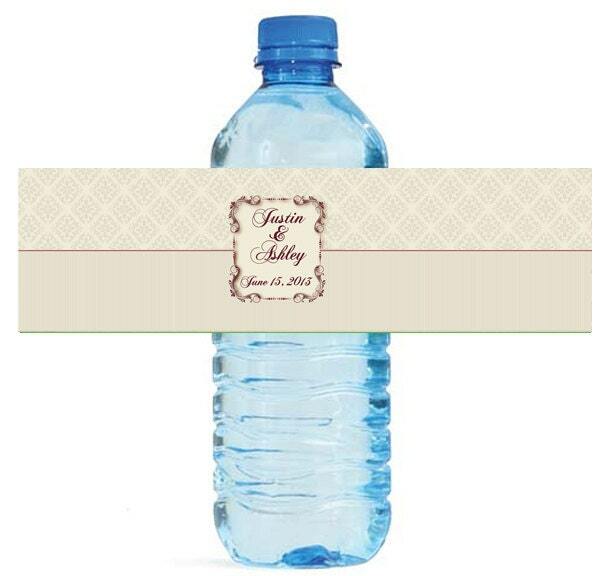 100 Floral Frame Wedding Anniversary Water Bottle Labels Great for Engagement Bridal Shower Party 7"x2"
Great looking Floral Frame Custom Water Bottle Labels, measure 7"x2". These labels are self stick, and easily stick to your water bottles. Our labels are laser printed and will not run or smear. Labels are peel and stick, so they are easily applied. The picture I have shows them on an 8oz Crystal Geyser water bottle.